Last week I introduced the idea of a different kind of Author Interviews. One of the people I interviewed was Amy Preder, and she wrote a blog post describing her experience. Check it out! Next week begins the Character Interviews done similarly to these Author Interviews, and I plan to write a post about those once I have done a few. In the meanwhile, enjoy Amy’s post! On 25 May 2015, I had my very first author interview with Kelly Blanchard. I’ve been the interviewer before, but never the interviewee. I must admit, I was more than a bit nervous. I’ve read plenty of author interviews before. Most are dull, to say the least. I was definitely afraid of being another one of those dull, lifeless interviews. I am just getting started in writing, and I thought the last thing I needed was to hamstring myself by seeming boring or uninspired. 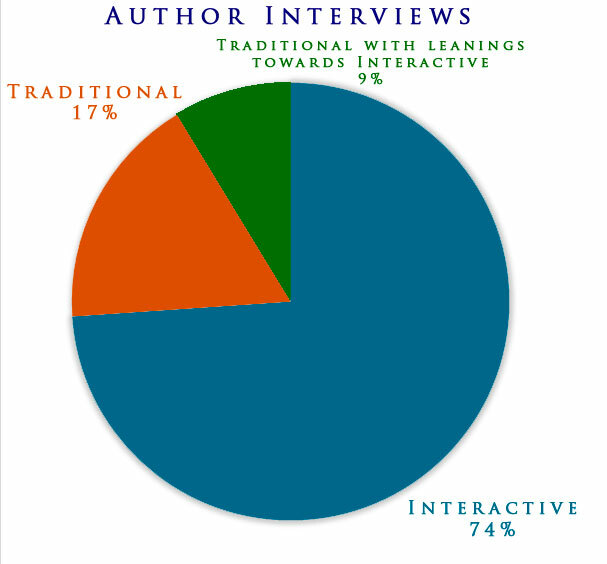 Author Interviews can be done in person or online. If it’s in person, you’d likely sit across from the interviewer and be asked numerous questions, “So, when did you start writing?”, “Tell us about the book you’ve published?”, “Where do you get your ideas?”, “What advice do you have for other writers?”, and so forth. You have no idea what question they’d ask next, and if you’re on camera and are a natural introvert, this is torture for you as you try not to let your nervousness show through while at the same time, you don’t want to come across as overly excited about your books. There’s a balance, but who really knows where it is? However, my main focus of this post isn’t about in-person interviews. I can’t help you there, so you’re on your own! But I want to focus on online interviews. Q: So, when did you begin writing? A: I began writing when I was really young. I can’t even remember the first story that I wrote! A: Fantasy! And a bit of science fiction—if you can believe that. A: I really like C. S. Lewis and Tolkien. Very awesome! Q: What inspired your book? A: Well, I was sitting in a coffee shop when I overheard this guy asking this girl questions like if she wanted to go watch this movie or that movie later, and all her responses were, “I have no preference,” because she was really into the book she was reading. Q: What is your story about? And it goes on from there. You send the answers back, and what happens? Weeks later, the interviewer posts the interview on their site/blog, and it looks exactly like that. Now, there is absolutely nothing wrong with any of that. It gets the job done, so it works. But something seems to be missing. Could we do something more? Something more interactive? These interviews tell us a lot about the author and their story, but I’ve never been satisfied with being told anything. I want to see! Pure dialogue reveals little about who the author really is because it lacks body language, facial expressions, and physical interaction with the author. We can’t really tell if they’re reserved, bored, or beaming with excitement. Those interviews simply give us the answers, but what if readers want to know more and get to know the author better to view them as truly human? Well, I had an idea, so I ran an experiment—as you should know by now I am fond of doing. I’m still in the middle of it, but the responses I’ve gotten so far are very positive. What did I do? I created a fictional place and invited authors to meet me there. They had to write themselves in third person as if they were a character of their own creation, but they were writing themselves. I did the same, and I took them through the setting I had created, sat them down, and had a chat with them. Some authors I took to a forest garden among castle ruins. Others opted for the palace library or the study in the palace. Others were more intrigued with the more modern-day Muse Shop I made up while few chose the setting of a coffee shop. Kelly Blanchard’s interviews are a pleasure to take part in. She has a great imagination and encourages her interviewees to join in the creative adventure, all the while allowing the reader to discover an author in a new way that is far more interesting than the usual question and answer session. I was unsure of what to expect going into this interview. The setup Kelly gave the volunteers beforehand was, unorthodox, to say the least, but interesting. The interview takes place in a fictional environment, and the author being interviewed is expected to write about themselves as if they are one of their own characters. I found this concept to be fascinating! Kelly is very friendly and easily approachable in the interview, and the process really forced me to consider my answers to her questions. Having been a newspaper reporter, I’ve done my share of interviews, even with a couple of published authors. I’ve never been the interviewee, and I’ve never had such an interesting, thought provoking, and overall enjoyable interview. Were I to give it an Amazon Star style rating, I’d probably rate it 5 out of 5. My only complaint is that the time for our conversation went by too quickly, and this is coming from a self professed introvert who has not had very much contact with Kelly prior to this interview. Definitely worth your time to do this, if for nothing more than a pleasant diversion from the norm. Kelly’s interviews are a pleasure to take part in. She invites you into a setting which is developed enough to offer scope for imagination, yet not restrictive in its demands. She is encouraging, builds a natural rapport with her interviewee, and easily shifts her focus to meet new ideas. Even allowing for the difference in our genres and styles, Kelly made my first ever author interview straightforward and inspiring. Kelly’s interviews are like all standard interviews with a simple Q&A session. The similarity, however, stops there. The idea of working through the interview in Third Person like you’re writing a scene for a character was a little odd at first, but it doesn’t take long to get into the fun of it. Her questions were thought-provoking and the “character interactions” between questions helped ease the tension and make the entire process enjoyable. More interviewers need to take a similar approach. I’d definitely do another interview like that any time. The interview was really interesting. Kelly is really good at setting the scene and making you comfortable when you first begin. It was like a real conversation. The talk was laidback and had a lot of possibilities. Of course she lets you explore and contribute. I learned a lot from the experience. Thanks Kelly! Blanchard encourages play over a standard, by the books interview and lets the interviewee lead with creation and imagination so that the interview takes place in another world, Kelly Blanchard’s world. In my case we started off in a royal garden and then rambled through a woods and into ancient ruins. The suspension of belief and the removal of the bounds of reality are essential to the creative process. This is what was distinguishing about the interview. It was an effort of creation rather than a simple rundown of facts. There was no list of interview questions, and it was much more a conversation between writers that allows others an inside peek into the world of not one author, but two. I am currently in the middle of interviews with two weeks of Author Interviews and two weeks of Character Interviews—two interviews a day, six days a week. Once all these interviews are completed, I will begin posting the Author Interview of one author on Wednesday and the Character Interview of the same author on Fridays on my new blog Meeting With The Muse. You can visit that blog now and see the Author/Character Interviews I already have posted there when I interviewed Kat Perrin for an example of the new style of interviews. Am I saying all author interviews should be done like this? No. It is quite time consuming and a stretch of the imagination, and everyone’s schedules must be rearranged. However, the difference is nice.